Keen. Targhee II Mid. Shitake Brindle. 1008418.The Targhee II Mid from KEEN offers four-wheel-drive performance for your feet. 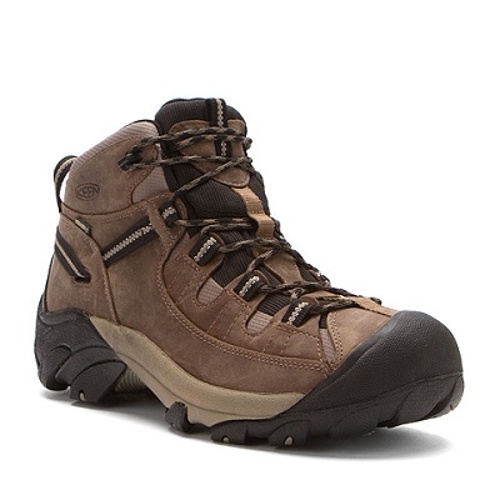 This hiking boot is revamped with the KEEN.Dry waterproof breathable membrane to keep your feet dry and comfortable. The aggressive outsole has 4mm lugs to bite into the terrain providing excellent traction. The ESS shank provides torsional stability for a secure ride while the mid cut height increases ankle support through canyons and over mountain tops.